Skeyndor is one of Spain's renowned cosmetic companies that offers a bunch of treatments like blemish prevention treatments, Vitamin C treatment, treatments for sensitive skin and more. They've also got creams, exfoliators and aloe packs for the best kind of aftercare. Spanish brand Skeyndor was launched in 1966 and since then, they've launched over 200 products in over 45 countries, including Canada, Italy, Germany, Singapore and India. 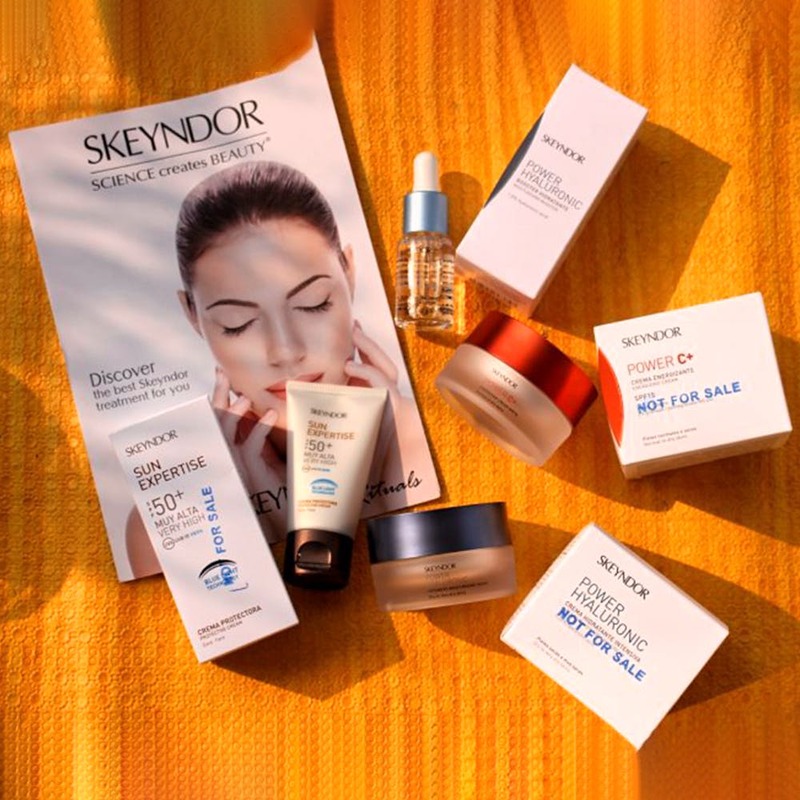 All of Skeyndor's products are backed by science, created by a team of experienced dermatologists. Innovation is one of their key focus, which is why you'll notice that they offer products like UV ray and even blue light (TV/Laptop light) protection sunscreens, pure Vitamin C oils and scrubs that aren't hard on the skin (like old school walnut scrubs), but are just as effective. Skeyndor has its head office in Kalkaji and that's where I got my skin treatment done. After consulting with the cosmetologist present, I opted for the Power C treatment. It's a brightening and anti-oxidant-rich procedure that energises the skin like never before. Like any good skin routine, the one-hour long procedure at Skeyndor also involves cleansing, exfoliation, scrubbing and moisturising. Some of the products used as part of the Power C treatment are pure 15% vitamin C oil (for radiance), pomegranate concentrate (for its anti-oxidant properties) and a cooling aloe mask. I felt that the treatment helped unclog pores, made my skin look significantly radiant and hydrated too. If you're someone who has dull, dry skin (like I do), I'd definitely recommend this treatment. But I do wish that the effects lasted a bit longer. The folks at Skeyndor will also give you aftercare products to help you maintain that glow for a considerable time (think 1-2 months). But in case you're the type who can't follow morning/evening skin routines (like me), you might have a tough time keeping up that radiance though. It's a bummer that their products aren't available online, but don't worry—they're available at most Looks, Geetanjali and other salon outlets across India. To know the exact stores near you that stock this Spanish brand's products and offer their treatments, give the folks at Skenydor a call. Also, their head office is a bit difficult to locate (but Make-up Studio, Skeyndor's sister brand is a good landmark). They've got a bunch of other treatments like aquatherm line, treatments for excessively dry skin and more. Be sure to book an appointment with the Skeyndor folks way in advance though. Consulting with them before really helps.